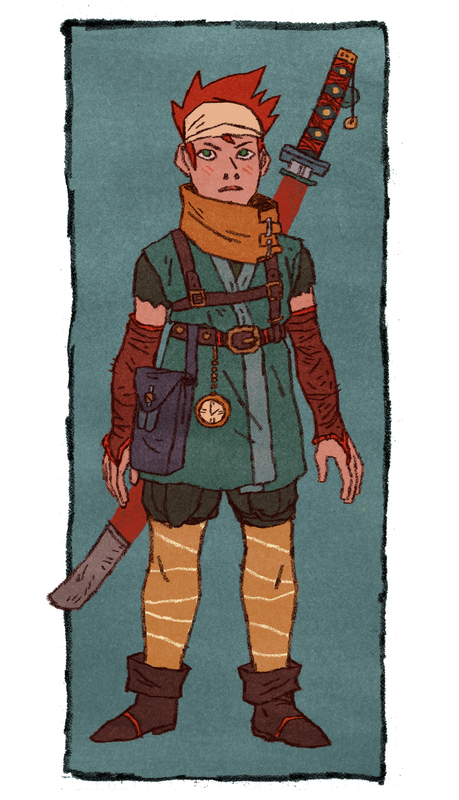 So Sam Bosma's been posting all manner of wunnerful video game fanart, which made me feel the itch. Here's a quick pass at Crono. Trying to subdue Akira Toriyama's INCOMPREHENSIBLYWILDDESIGNS into something I can actually draw was really fun. Holy shiiiiiiit this is so good! Fun take on this, Jake. Let's see some Pac-Man or Pong next.